Although the winter weather patterns in Dallas can be unpredictable, the climate usually leads to the creation of significant flood damage in properties and structures throughout the city. During the season, warm, humid air from the south collides with cold, dry air, causing freezing rain. This phenomenon disrupts the city by downing power lines, breaking tree limbs, and creating structural damage in homes and businesses. 911 Restoration of Dallas is equipped to handle the impact that freezing rain and other winter storms have on the properties in the community. The water damage restoration company is available 24/7/365 to provide leaking ceiling repair and water cleanup services. When severe weather damages your property, it is necessary to receive immediate water extraction services. To make that possible, our technicians guarantee to arrive at properties in Dallas, DeSoto, and other neighboring cities within 45 minutes. It is a priority to the entire organization to make you feel comfortable during this turbulent season, so to ease your mind we provide property owners with free visual inspections. We are passionate about putting the customer first in every situation, whether you need emergency storm repairs or have a question concerning your insurance policy. So, call 911 Restoration of Dallas when you need complete home restoration services today. Freezing rain is the result of an ice storm, and it is one of the main reasons that property owners need leak and flood cleanup services during the winter. This type of rain will form when the droplets freeze upon impact with a surface of any kind, such as homes, buildings, trees, auto vehicles, and power lines. When the freezing rain hits a surface, it creates “glaze ice,” which is a thick layer of slick ice. Glaze ice has the potential to be one of the most dangerous winter hazards. When a thick layer forms on tree branches they can break off and crash into your home or building, not only causing structural damages, but allowing rain, snow, wind, and debris into your property. 911 Restoration of Dallas will implement leak detections and conduct emergency roof repairs to prevent the elements from causing further damage to your property. By completing water extraction, drying, and flood cleanup services, your property will make a full recovery, no matter how harsh the weather outside may be. 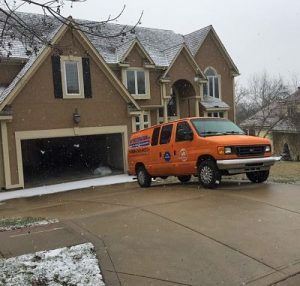 If your home gets caught in an ice storm, you can depend on us to provide you water damage restoration services on a moment’s notice. So, call our highly trained technicians today, and we will give you the peace of mind you need during a winter storm. One of the most important things that the technicians at 911 Restoration of Dallas bring to every job is an extraordinary sense of professionalism, and our ability to ease your mind during a storm or when pipe bursts is one of our biggest strengths. 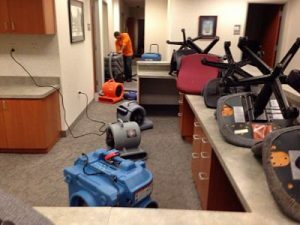 With our trustworthy staff of experts on the flood cleanup job, property owners can be sure that we will hear you during the water damage restoration process. We want to answer all your questions and dispel any of your concerns so you can focus on yourself and your family while we take care of the water damage repairs. When it comes to safety and security, 911 Restoration of Dallas will work hard to ensure the safety of your home after a flood, as well as your family. The technicians will also provide you with a free insurance consultation. We understand that sometimes customers are unsure about what coverage they are entitled to receive and we want to make sure you get the financial aid you deserve. In fact, we can even file your insurance claim for you, so that you can feel secure knowing that you are on track to a Fresh Start. 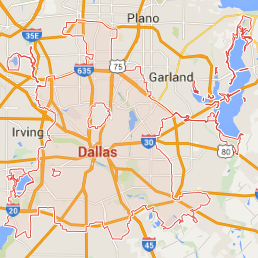 You can trust 911 Restoration of Dallas with every aspect of a water damage restoration job, so give us a call today!